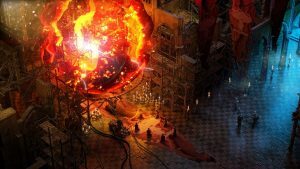 After Wasteland 3 reached its crowdfunding goal of $2,750,000 in three days, InXile released an update. On the fig campaign page, the devs released what they call “Vision Document”: A documentation that talks about all of the things that are planned for the next title in the post-apocalyptic RPG. Everything from the story to some planned mechanics is described in this document, however, fair warning to all who might read the document in its entirety, there will be story spoilers for Wasteland 1 and 2. ” The years since have not been kind to the Desert Rangers. They attempted to regain their footing but could find no adequate base of operations to replace Ranger Citadel. If you want to read the full document, you can by visiting the Fig update on the game.